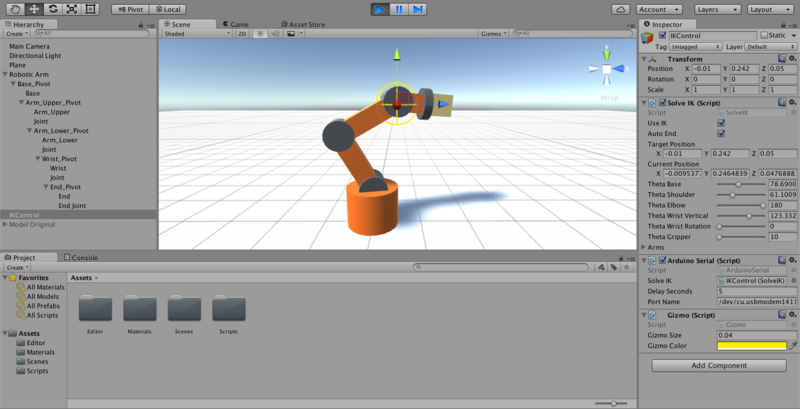 Unity project developed with Unity 5.3.4. Transform: Move the Position to change robotic arm wrist IK target position. Arduino Serial: Send motor angles every 5 seconds (Delay Seconds) to Serial. Change Port Name before use. Default off. Arduino counterpart code which receives commands from Unity. Need to have Braccio library installed.